The E3 hype train is full speed ahead as the event is just around the corner. This includes Bioware’s new IP, Anthem, which was revealed at last years event. But ever since the initial announcement, there has been very little new information about the game. This changed when Anthem’s official Twitter page, which has been inactive since June of 2017, recently tweeted a cryptic message that as far as we can tell only says the word “decoding” with some symbols surrounding it. This could be leading up to a big reveal and possibly some new gameplay. We’ll likely be seeing some of this at EA’s press conference, EA Play, which is scheduled for Saturday, June 9 at 11:00 am PST. The expectations for Anthem are high, and Bioware is going all in with this game. The studio has made it clear that they are solely focused on Anthem, even going so far as to end future updates on Mass Effect Andromeda the same year it released. Known for their single player role-playing games, Bioware has produced some of the most popular video game franchises of all time. This includes Baldurs Gate, Star Wars Knights of The Old Republic, Jade Empire, the Mass Effect Trilogy, and the Dragon Age series. With that in mind, Anthem is a bit of a departure for Bioware as the game is being structured for online multiplayer with a loot collecting system similar to Destiny and The Division. What we know about the game so far is that players can hop into a party of four as they don mech suits known as Javelins. These suits give the players many different abilities such as the ability to fly, speed run, and warp into different areas. Players will also be able to choose from different classes that utilize unique powers. Despite the huge push for online play, Bioware’s General Manager, Casey Hudson, has stated that the game can be played solo. EA and Bioware have not confirmed if the game will be playable at E3, but hopefully they have something ready to blow our expectations out of the water once the time arrives. 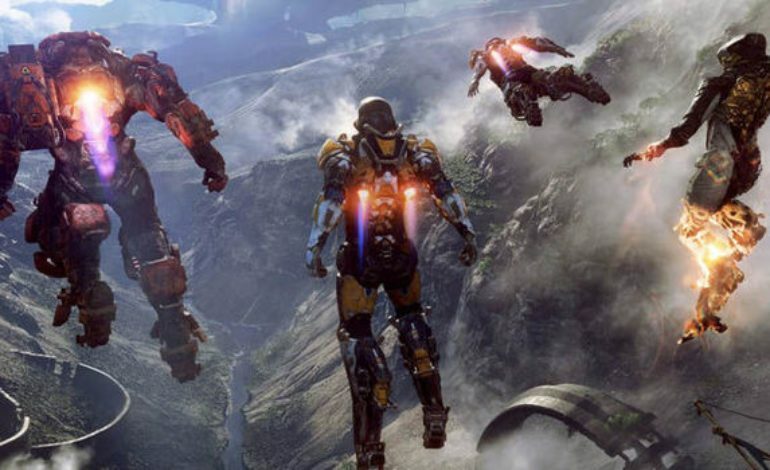 We got a glimpse of players flying in the air and jetting across the terrain last year, and now the time has come for Anthem to show us what it’s really made of. Anthem is slated for a 2019 release on the Xbox One, PlayStation 4, and PC. Earlier today Anthem’s twitter posted a new tweet that sets up a major tease for new gameplay. The link on the tweet sends you to the official Anthem website which has a few updates regarding the EA Play press conference. The biggest addition to this update is that EA and Bioware have announced that there will be new gameplay from Anthem at the event.